See how to make Baked sliced potatoes, an interesting, simple starter recipe which can be even served as perfect side dish. 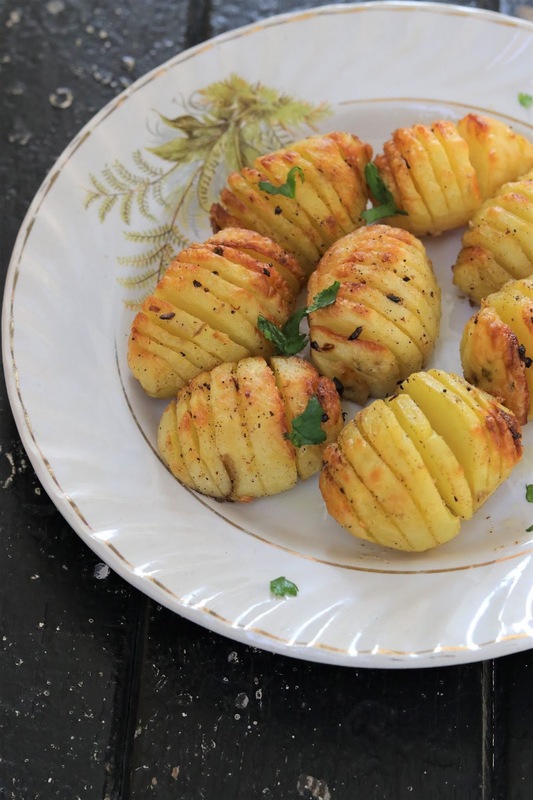 Here potatoes are sliced but left joined at the bottom, baked until the layers fan out and outside becomes crispy and inside is soft and tender. A beautiful and unique way to serve potatoes. 1. Wash the potatoes and peel it. 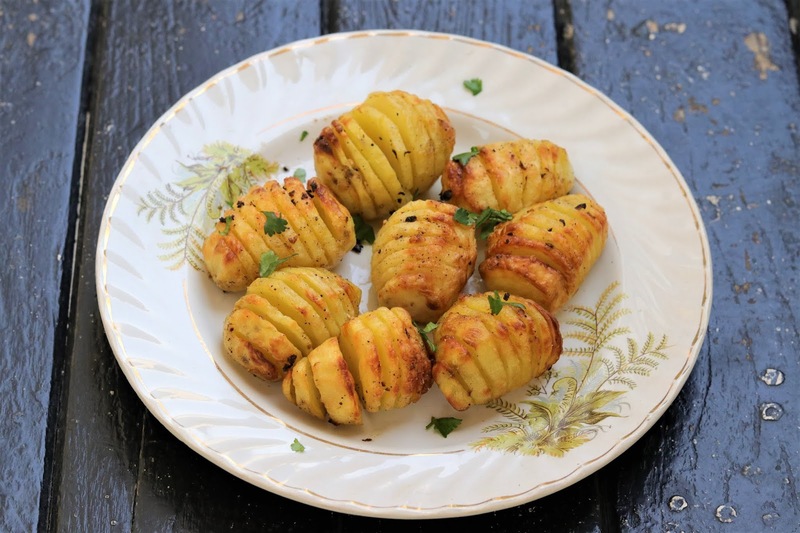 Cut slits in potatoes but do not cut through till end. Leave little space at bottom such that it is intact from bottom. 2. Mix all the ingredients in oil mixture. 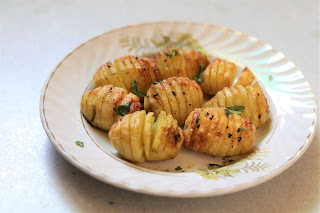 Place potatoes on parchment paper and brush the potatoes with oil mixture, also try to open the slits a bit. 3. Place the potatoes in preheated airfryer and bake at 180 degrees for 20 min till crisp and golden. In between also brush another layer of oil mixture. Else bake in oven at 200 degrees for 25-30 min. 4. Sprinkle chopped coriander and serve immediately.